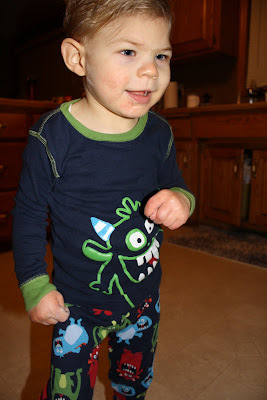 Welcome to Elijahland: Isn't He the Cutest Monster You've Ever Seen? Is this before brushing his teeth? And also wondering, are monster's cute? Questions, questions, so many questions? Definately the cutest moster ever. :) Wow has he grown! Having a little baby again makes me realize just how big our toddlers really are!